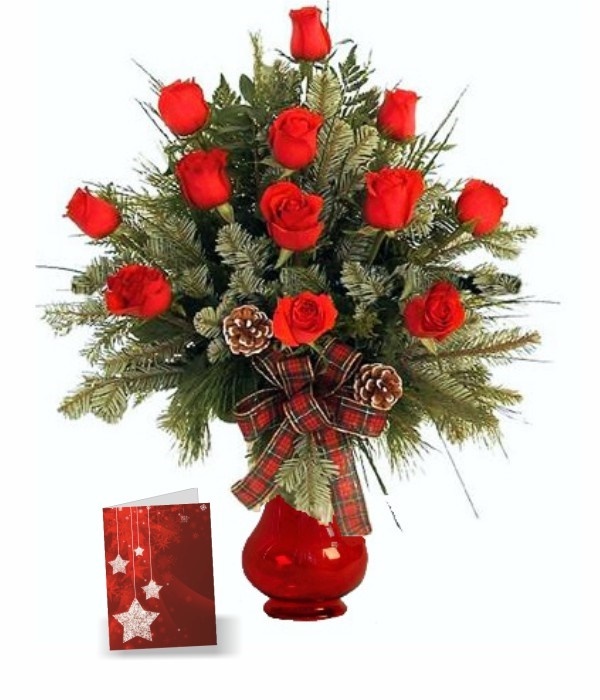 Long stem red roses and fresh evergreens bring classic beauty this holiday! 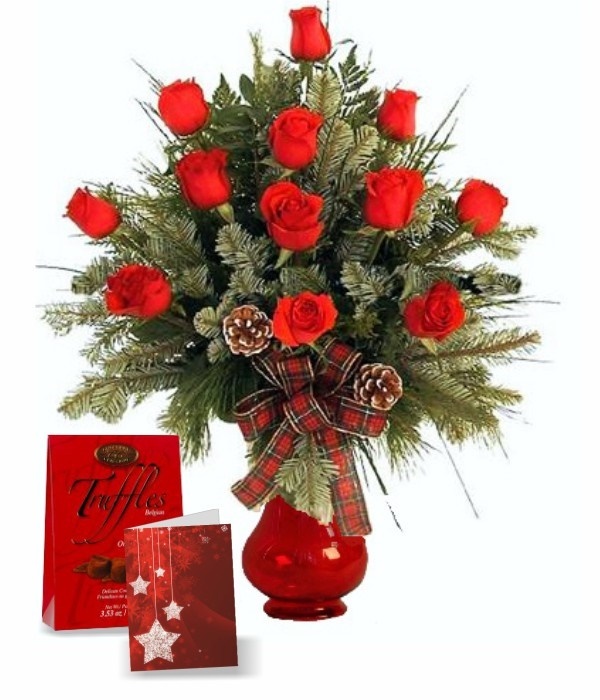 Delivery is available across Canada. 20% of purchase price goes directly to Royal Winnipeg Ballet in support of enriching the human experience by teaching, creating and performing outstanding dance.